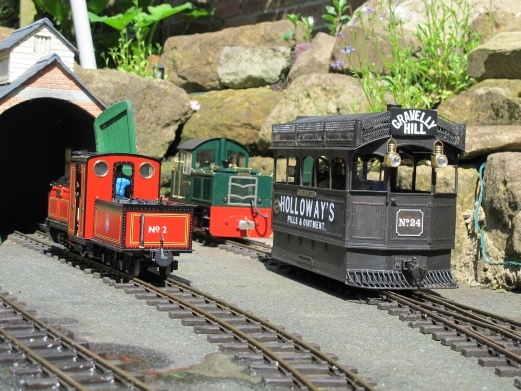 Within the group membership there are a number of avid modellers who continue to inspire through their efforts in designing and building a range of 16 mm scale models. 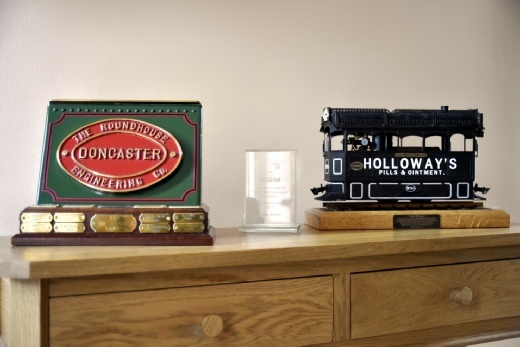 These include gas, meths, and coal fired locomotives, prototypical passenger and goods rolling stock and finely detailed line side buildings. 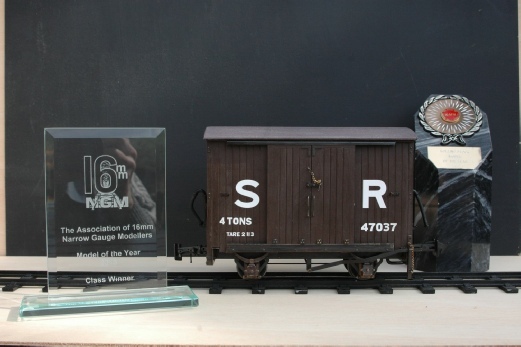 Encouraged as always by fellow WHAGs, an increasing number have over the years entered the into the spirit of submitting their efforts into the 16 mm Association’s annual Model of The Year (MoTY) competition, and in doing so received “Highly Commended” through to “Class Winners” awards. 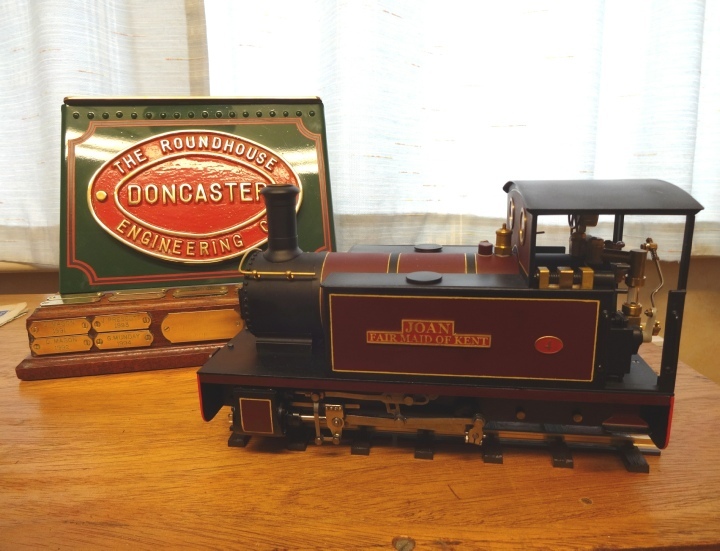 “Joan - Fair Maid of Kent” loco in the MOTY competition. Taliesin. Based on various drawings as a detailed drawing for my chosen era was not available. 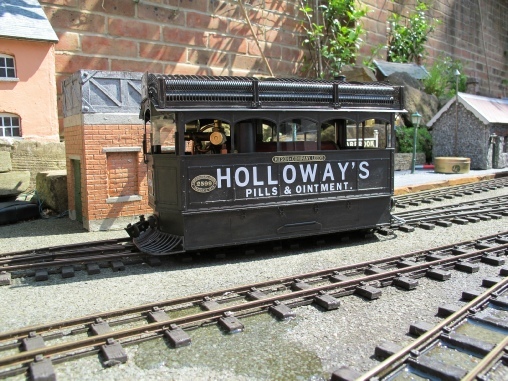 Model is of Taliesin in about 1880 after the first modifications to the rear bogie and cab sides. Square sand pots had not been replaced and cab still fully open. 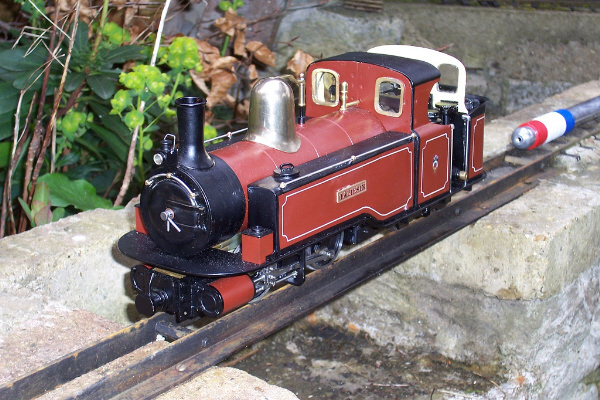 Model is internally meths fired with a "B" type boiler. Piston valves with slip eccentrics, crosshead pump for boiler feed, radio control of the regulator. 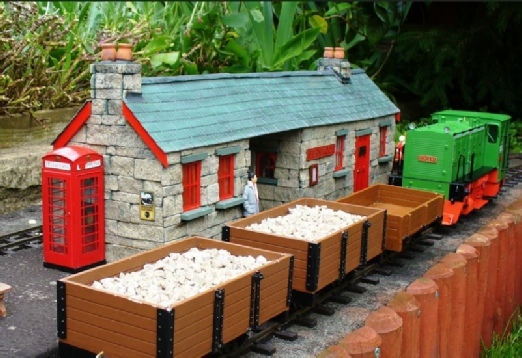 In 2009 this station building received a Highly Commended award and is constructed using real stone cladding on to a Plasticard basic structure.The the booking office is complete with interior detail and interior lighting.